Between You and Me: A Keepsake Journal for Military Families offers parents an opportunity to share special moments in their child’s life while serving our country. Once the time in the military is over, families have a keepsake of a very special time in their family’s history. 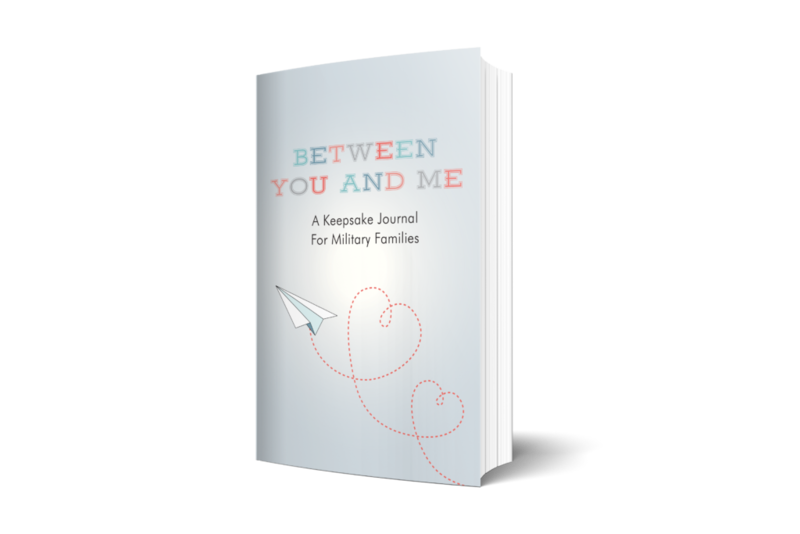 Between You and Me: A Keepsake Journal for Military Families one sheet.